As a part of Interplay’s expanding Discovery program, where the publisher seeks out promising indie games and makes them available on the mainstream market, announced another addition. 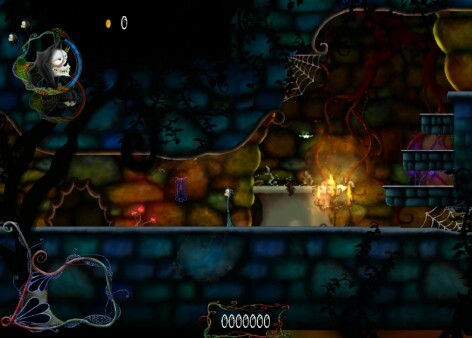 The game is called Death and the Fly and will be a colorful and “gothic” 2D puzzle platformer where you must navigate through various traps and puzzles to reach the end of a given level. It’s being developed by “Independent Programmist Group” or PIG and will be playable during the second quarter of 2011. You control two characters, Death and the Fly, hence the name. Each character has a unique abilibity that will be required to complete the levels. They assure that there are “many interesting ways to die”, which could be an implication that death will be unavoidable by design, similar to that of Limbo or Super Meat Boy. You will also be able to upgrade your abilities throughout via some sort of in-game shop. You can follow the development from their blog.